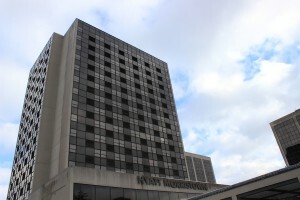 DerpyCon 2019 will be held October 25-27, 2019 at the Hyatt Regency Morristown in Morristown, NJ. Located in the center of Morristown, the area offers many restaurants, shopping and cultural attractions. The hotel is convenient for those traveling by car, air, bus, or train. DerpyCon will have a group rate starting at $139 a night (without taxes) which include complimentary access to the 40,000 square feet fitness center, indoor pool, discounted parking, and wireless internet access in hotel rooms. Book a room by clicking the link above.